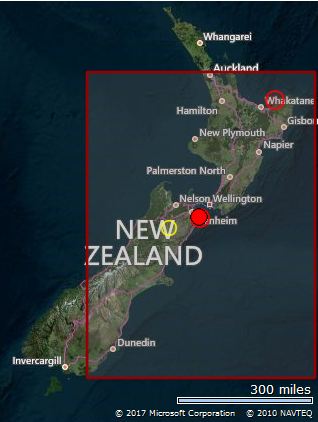 A 4.6R came in this morning (GMT) in Cook Strait, New Zealand. We expected thisto arrive today as can be seen from our report published yesterday for today. This 4.6R event is smaller than the 5.5R on the North Island we saw yesterday. What is interesting however is that the coordinates of the yesterday event are exactly those of todays event in NZ. We expected Cook Strait yesterday we got it today. See the post for the 22nd jan. here.